"In almost every story, there are quotes, stories, and anecdotes that don't make the final cut. This story is no different; that doesn't mean those quotes, stories, and anecdotes aren't worth something—it just means they didn't fit in the particular piece. Below are some interesting nuggets that I thought you might like to see." Turns out, he's right. So here's some additional thoughts from poet George Looney, writer Kim Todd, and Behrend student Eric Botts to get you ready for the upcoming reading Thursday, Feb. 9. Ben Speggen: How has Erie affected you as a writer? George Looney: The lake and the sky here—which I have found to be very expressive, the sky I mean, though the lake is as well—have figured in many of the poems written in the years I have lived in Erie. In fact, the sky started off the first fifteen or so poems I wrote in Erie. BS: What poets or poems inspire you? What other things, aside from poetry, inspire you and your writing? GL: The poems of many poets inspire me, from poets like Richard Hugo, Larry Levis, William Matthews, Louise Gluck, and Stephen Dunn, to the work of my best students. All good poetry is inspiring. And I find inspiration both in the world itself and in the world transformed in various art forms—painting (I used to be a visual artist), sculpture, music, as well as poetry, fiction, and literary nonfiction. BS: How did this fifth collection come together? Did it start with one poem? Did you have the idea for the collection prior to writing any of the poems? GL: This collection began as a series of stories I wrote for a woman I was involved with for a number of years 15 to 20 years ago. She had asked me one night to write her a story for the next day and so I came in to my office the next morning and opened the dictionary to a page and looked for an animal and read what information the dictionary contained about it and used that to write a story that I then put in her mail box in the English Department of the school we were both teaching at so she would find it when she came in. I think I used an animal for that first one because I had been re-reading Michael Benedikt's Mole Notes. After writing between 90 and 100 of these stories, I realized some of them were sort of interesting and asked her for them back so I could make copies and then I started revising them and 17 or so years later the book was published. This is not typical of my other collections, nor are the poems in this collection typical of most of the poems in my other collections. BS: How do you approach writing? Is writing each poem similar or is each experience unique? GL: Every experience—whether the writing of a poem or a sensual experience in/of the world—is unique. Classification—though necessary for knowledge—is overrated and can easily be taken too far. We need, always, to relish the unique. BS: How do you feel when you've finished a poem, a collection? How do you know when it's "done"? GL: Some poet said that we never finish a poem, we just abandon it. There is some truth to that. I know when a collection is complete—when the poems that are necessary to complete a satisfying arc in the book are drafted—but as to when the book is "done," it is only done when the final galleys have been returned to the publisher and the book is at the printer. Though it's not even done then; as I give readings from it I often discover things that still need to be worked on (for the Selected Poems, of course). BS: In your writing process, how much time do you spend pre-writing, writing, and revising? GL: I cannot say how much time I spend pre-writing, since all my experiencing of the world and my passage through it is the pre-writing. I can say that the drafting time for a poem will vary from a few days to several years. And the revising is never really done, but these last three books I have been revising from between 15 to 27 years. BS: How do you take what you're learning as a poet who's continually producing his own material and apply that in the classroom? GL: Since every poem is a return to the beginning and a re-learning of all that I "know," continuing to write allows me to be able to relate to the experience of much younger writers, and this shared struggle helps provide a solid teaching ground. BS: What goes into your preparation for a reading such as this? GL: Always I think about the audience as well as the texts, and I try to find a thread to help me select what to read. In this case the thread was a given—since Kim's new book is "Sparrow," I decided to look through the Bestiary and find poems with birds as the central tropes. Then I time each poem and come up with a group of poems I hope will not overstretch the receptivity of the audience, time-wise at least. And then I practice, practice, practice. BS: You had me first at "literary tradition" of the sparrow. Okay, you had me second with the history and biology of the bird. What did you find most interesting there? 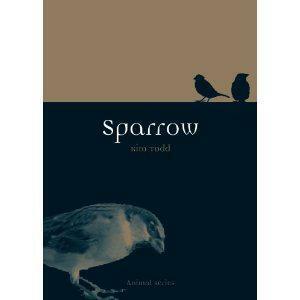 Kim Todd: House sparrows are truly amazing in terms of their biology. They can live almost anywhere, including at the bottom of mines, and near the Arctic Circle. They are survivors without peer and nothing seems to stress them. My favorite study about house sparrows shows that, while most other birds are afraid of the unfamiliar, and will avoid a dish of food that has, for instance, a brightly colored toy, next to it, the house sparrow prefers the food next to the plastic lizard. They are a lot like us, and love our junk as much as we do. This makes it all the more strange that they are declining worldwide for reasons no one really knows. Probably the most interesting event in house sparrow history was the nineteenth-century "Sparrow War." House sparrows were introduced to the United States in the 1850s and they flourished. No one knew at the time the disastrous effects invasive species could have on an ecosystem, but some biologists, watching house sparrows kick out bluebirds and purple martins, began to suspect. They called for house sparrow removal. Others rushed to the sparrow's defense. People were at each other's throats, writing letters to the newspaper, shouting at city meetings, hurling insults, over what to do about these little brown creatures. It was the first real debate in the US over non-native species. BS: What inspires you? To say your writing is creative is an understatement, but where does a "creative" writer focusing on nature and science and say, work that focuses more on "facts" than "fictions" turn to for inspiration? KT: Science writers looking for inspiration have a wealth of resources as we are living at a time when the form has attracted some talents. As scientific concepts have grown more complex, so has the need to explain them with grace. Peter Matthiessen, David Quammen, and Susan Orlean are writers I turn to often. I also have learned a lot from fiction writers who weave science into their stories, authors like Andrea Barrett and Joanna Scott. Scott's collection of short stories called Various Antidotes lets the reader, for instance, look through Leeuwenhouk's microscope in an intimate, immediate way. BS: How do you feel when you've finished your research and then the book? How do you know when it's "done"? KT: It's done when I'm too embarrassed about how overdue it is to keep revising it any longer. When working on my first book, I was fretting about how far it was from perfect, and a friend finally advised me to "just kick it out of the nest." At some point I just hold my breath, print it out, and put it in the mail, but it never feels done. There's a strange phenomenon that once a book is published and you spend months reading from it and explaining it, you suddenly realize what it's actually about. BS: What are professors Looney and Todd like in class? Eric Botts: I actually feel a bit odd referring to George and Kim as "Professors Looney and Todd." In fact, this is true of all the Creative Writing faculty at Behrend. So, if it's not too unprofessional, I'll go by their first names. George reminds me (in a non-reverent but still positive way) of a Greek philosopher. He's impassioned and quite vocal about his opinions, with which he encourages his students to argue, allowing new ideas to develop through debate. Again, I mean this in the best way possible: Kim is, at first, utterly intimidating for her intelligence and the amount and depth of thought she demands from her students. After the weeks of her Introduction to Article Writing course, however, I realized that her methods have the uncanny knack to draw out some of the best writing I've ever done. BS: What have you learned most from them, George and Kim? EB: George has transformed the way I understand and write poetry. Before studying under him, I knew very little about form--line breaks, stanza breaks, variations of rhyme, etc.--and my poetry showcased that lack of knowledge. I've had him every semester since I started at Behrend, and now feel confident in my ability to write and critically read poetry. I should add here that a large part of my work with George has been as an editor of both poetry and nonfiction for Behrend's literary journal, Lake Effect. Our discussions about Lake Effect submissions have been among my most enlightening experiences at Behrend. Before my college career, I had never even considered writing nonfiction. The notion of writing the "truth" felt about as uncreative as you could get. In my first class with Kim, I learned very quickly that nonfiction can be just as literary as poetry and fiction. Part of what brought me to that understanding was that Kim had no qualms of pushing me outside of my comfort zone. That pushing has taught me the value of breaking out of myself and exploring worlds that may at first seem frightening or boring, a lesson that has more than anything else I've learned, made me the writer I am today.